Reduce the appearance of your scars today! If you have had previous surgery, been involved in an incident, or have stretch marks, you can disguise any scars using skin colour ink tattooing. Scar Camouflage makes your scars less visible and blend in with your natural skin colour. We may or may not also use micro-needling to reduce the actual scarring before tattooing the area. This will be discussed at your initial consultation. A scars appearance can be hidden or reduced by the application of tattooing over the skin using skin tone ink. In some cases, derma needling might also help reduce the actual scarring before applying ink. 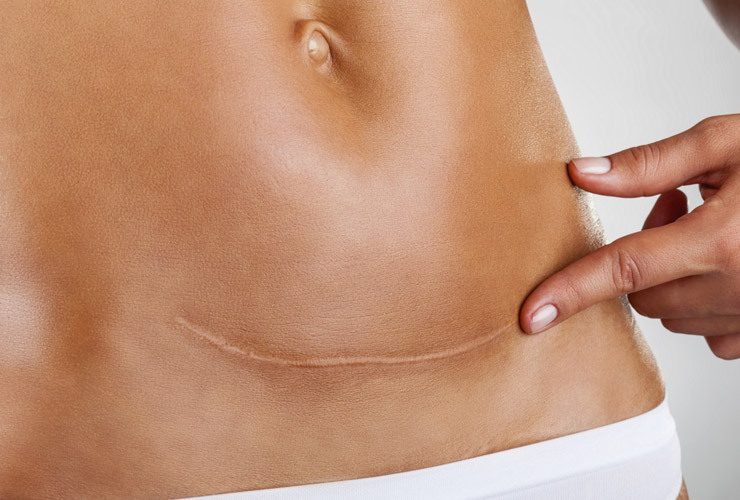 What kinds of scar can you treat? Any kind of scars including stretch mark scarring - we would need to see you first to look at your scar and advise on treatment.